Efforts to fight the epidemic must focus on more than just the availability of certain drugs, the researchers say. The current opioid overdose crisis is actually part of a 40-year trend that is still headed upward, and current efforts to fight it may not be anywhere near enough, researchers said Thursday. A new analysis of drug overdose deaths shows that while the drug of choice may change, and the kinds of people affected may change, the trend is clear: The number of Americans dying of drug overdoses has gone up exponentially for decades. It started before the availability of synthetic opioids, and may have only a little to do with the prescribing habits of doctors or the pushy habits of drugmakers, the team at the University of Pittsburgh found. “The opioid crisis may be part of a larger, longer-term process,” the team wrote in their report, published in the journal Science. The Health and Human Services Department released $1 billion this week to various agencies to use in fighting the epidemic, with funds earmarked for medications to help people stop using opioids and behavioral programs to help prevent relapses. HHS said the number of opioid prescriptions has already dropped by 21 percent since January 2017. But if the conclusions of the Pitt team are right, the epidemic will continue to worsen. “If we try to address the opioid epidemic, we can probably make a difference for a while,” Dr. Donald Burke, dean of Pitt’s school of public health, told NBC News. But there are several underlying factors in the ongoing epidemic, many of which have nothing to do with the drugs that are available, said Burke, who led the study team. Burke predicts that new drugs and new routes of taking them will hit the streets, keeping the epidemic going. These include societal and cultural factors. “This is a reason that U.S. society needs to pay attention to the loss of the sense of purpose, the widening economic disparities, the loss of community,” said Burke. Nearly 48,000 people died from opioid overdoses in 2017, the Centers for Disease Control and Prevention says. Surgeon General Dr. Jerome Adams said Thursday that he wants to raise awareness of opioid addiction as a brain disease. The CDC has blamed doctors, in part, for prescribing opioids too freely for inappropriate reasons, and has urged Americans to treat their pain in less dangerous ways, including the use of analgesics such as ibuprofen, as well as with ice and stretching. 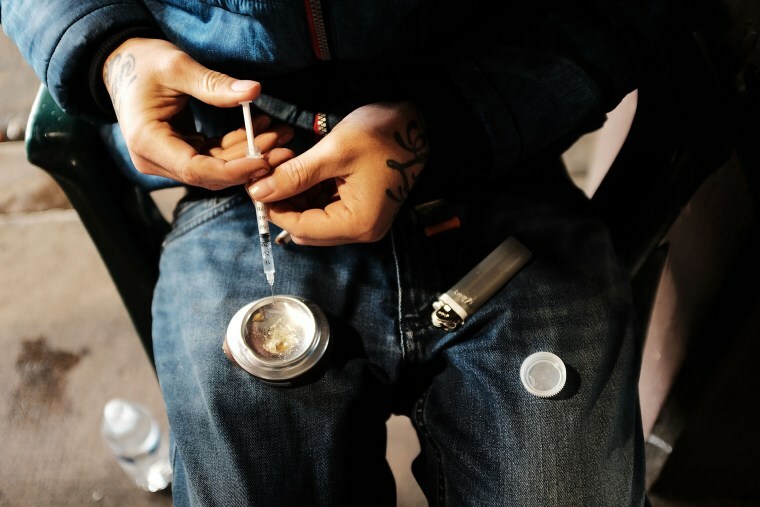 CDC data also shows that the introduction of unapproved synthetic drugs made to resemble fentanyl doubled death rates from overdoses from 2015 to 2016. Death rates among younger adults have risen so much that they have reduced the overall life expectancy for the U.S. population as a whole. But no one drug is to blame, Burke and his colleagues found. They traced back nearly 600,000 deaths starting in 1979 from each individual drug or drug class, including heroin, cocaine, methamphetamine and prescription painkillers. Put on a graph, they all went up over time, but not in any coherent way. Deaths were also seen in different communities. “At first, the highest death rates were in the coastal big cities,” Burke said. The team added all the deaths together and graphed them again. “You take all these year-to-year death rates and plop them on a logarithmic scale, it is a perfect straight line,” Burke said. Death rates doubled about every nine years, the graph showed. "This remarkably smooth, long-term epidemic growth pattern really caught our attention," Burke added. "If we can figure it out, we should be able to bend that curve downward." The findings jibe with what suicide experts have been saying — that many Americans are feeling increasingly disconnected and hopeless, which in turn is helping drive an increase in suicides. Burke said it’s important to look at all the causes of drug overdoses. “I am not trying to shift blame anywhere,” he said.